View Offline OST Emails with Attachments. Open and View OST file contacts, calendars, notes, journals, tasks. Capable to Add Multiple OST File one by one. Option of Advance Scan Mode to Open and Recover Corrupted OST file. No requirement of Server Environment, user can view OST file without Outlook. Save the loading of scanned file and saves rescanning time. This freeware OST reader is able to add and view multiple OST files one by one and preview all items like emails, contacts, calendars etc. View items with all attributes like for messages attributes like To, From, Subject, Sent, Received and Size in bytes. 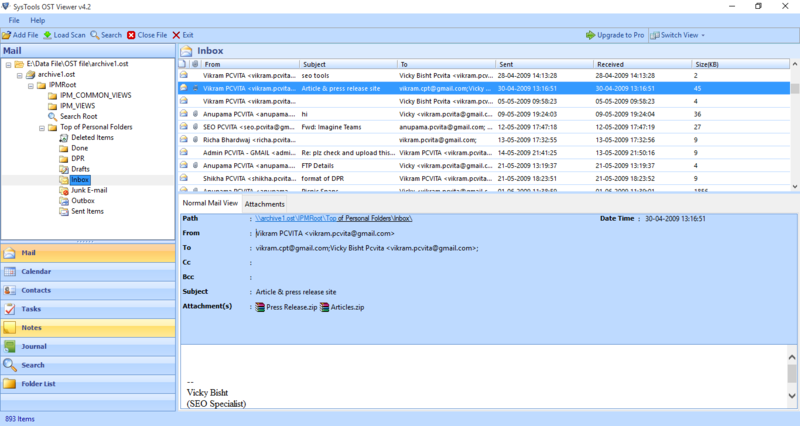 OST Viewer Tool also give the preview of Attachments embedded with OST emails. You can read and open OST file attachments like document, files, images and other files. For healthy OST file tool will automatically scans the file with Quick scanning mode otherwise if it finds the corrupted OST file, you need to select the Advance Scanning mode which also recovers the corrupt OST. 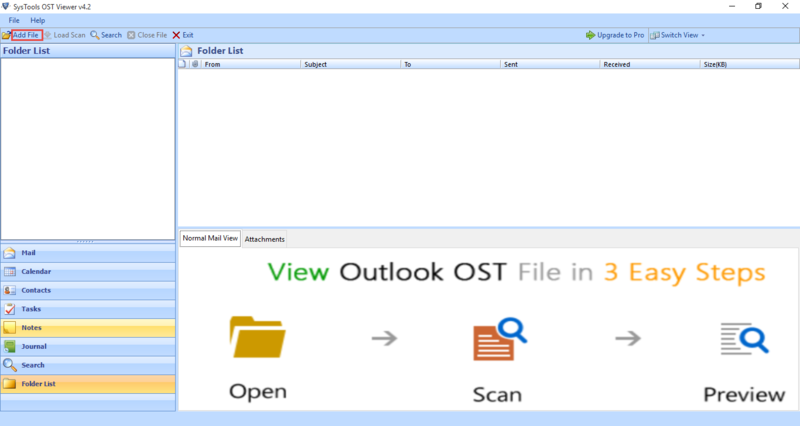 To read OST file using OST Viewer software, user don′t need to have install any applications like MS Outlook or Exchange Server. It will work on multiple Orphan OST files. OST file opener will open and give the preview of OST Contacts with its all details in the same way as it appear in MS Ouotlook. As OST file contains all items like emails, contacts, calendars etc, to open OST file calendar in windows without its supported application, this is best OST reader. OST is called Offline Storage Table which gets created in Microsoft Outlook. This Offline folder allows the user to work even they are offline and the changes get synchronized with the Exchange server whenever they connect again. The OST file is useful because it permits user to work in the situation of server downtime. In MS Outlook 2010 & Outlook 2013, the size limit of OST file is 50GB and the files are in Unicode format by default. If the user have orphan ost file that is not connected to any Exchange server environment, it will become inaccessible so you won�t be able to open and read the data inside it. This freeware OST viewer tool is highly recommended for the users who have orphaned ost file and want to read data inside it. Step 2:Add Path of OST file. Step 4:Preview of OST items. Watch the working of freeware OST Viewer to get preview of all items. What is the size limitation of OST file for this software? There is no limitation on OST file size which can be opened and read. You can read multiple OST files of any size. Does this tool work in Windows 10 and open OST file items? Yes, this OST reader tool is windows based tool. It is supported to Windows 10, 8 and all below versions. If this software is able to open the corrupted and orphaned ost file also? Yes, OST viewer makes you read corrupted ost file, beside opening of corrupt ost it also recovers the corrupted data inside it. Is it necessary to have Outlook and exchange Server environment for using this tool? 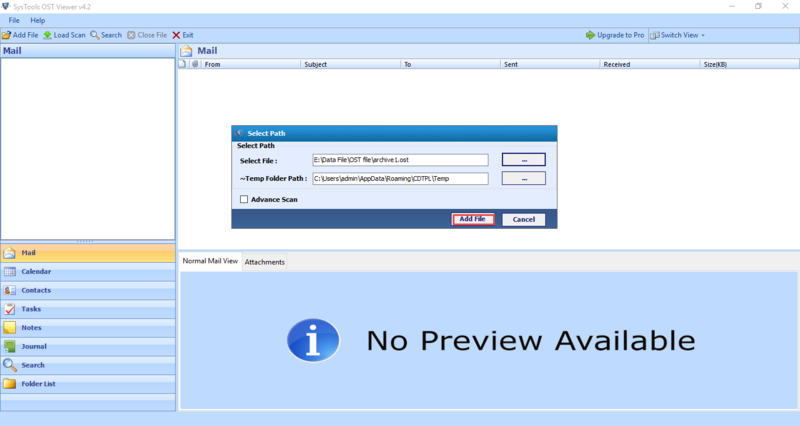 No, there is no need to set up outlook and exchange server environment to use this OST file viewer. You can view ost file without Outlook. I had a orphan OST file but it was inaccessible, then I found OST Reader tool which opens and view ost file without Outlook and also give preview multiple orphan OST files easily in the same way as it was in MS Outlook. 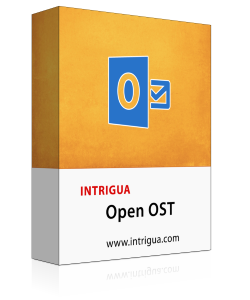 Intrigua Open OST tool helped me lot in the situation of Exchange Server downtime. My .ost file becomes inaccessible and I suffered lot from this reason. 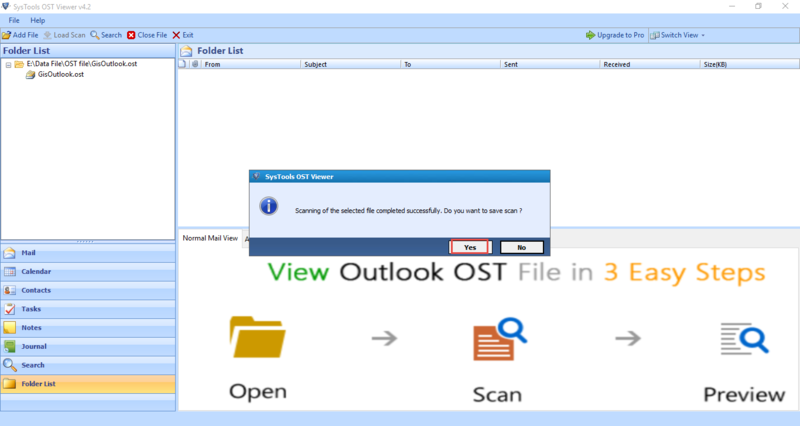 OST viewer software makes it accessible and read ost file without Outlook and Exchange server.